Anybody remember the very first major online console RPG? I’ll give you a couple hints: it was published by Sega and first came out in 2000. 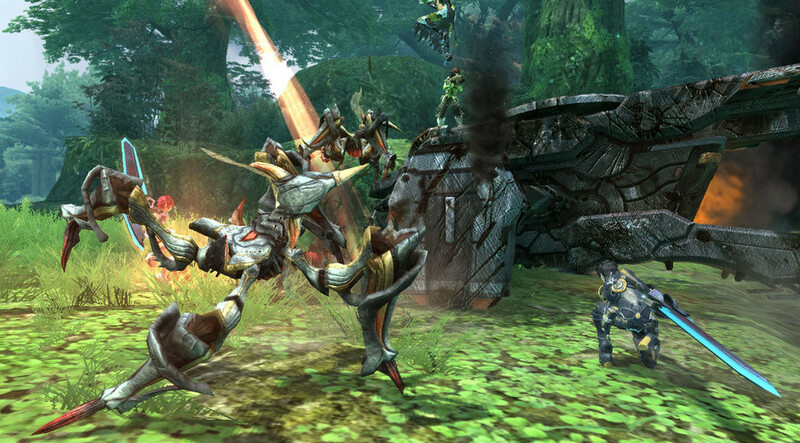 For those of you who know your history – that’s right, I’m talking about Phantasy Star Online. When was ported to the GameCube in America in late 2002, it became the first online game I ever played. And I was hooked, let me tell you – I must have clocked over 600 hours on that thing. The existence of such a high-profile online game on the GameCube should have snowballed into a slew of additional online games for the system, especially given that Nintendo was head-over-heels in love with the idea of inter-device connectivity back then, but it didn’t. Now, though, Nintendo’s prepping its new console for launch most likely sometime next year, and meanwhile Sega’s developing Phantasy Star Online 2. 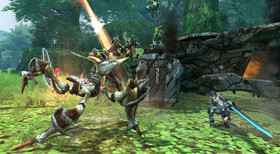 Of course, the game’s only confirmed for PC, so we have no idea whether it’d even eventually come to Café – although, to be fair, we know essentially nothing about the Café lineup anyway and likely won’t until E3 at the earliest – but with the new system supposedly focusing heavily on improved online features, I can’t help but wonder whether the new PSO is going to be a headline online title. Suffice to say that a Café release would be a dream come true for me – my fondest multiplayer moments come from the hours upon hours I spent questing with my friends. (I played primarily as a RAmar, for anyone who’s curious.) It’s unlikely that I’ll get to take full advantage of the offline multiplayer mode like I did growing up – my family and nerdiest friends all live back in the central United States while I’m kickin’ it in California – but I might be willing to really dive into the online for this one. Check out the reveal trailer below to see what it’s about. It’s not the most exciting trailer in the world but it gives you a sense of what the action’s like and some of the features they’ve added such as jumping and weather effects.